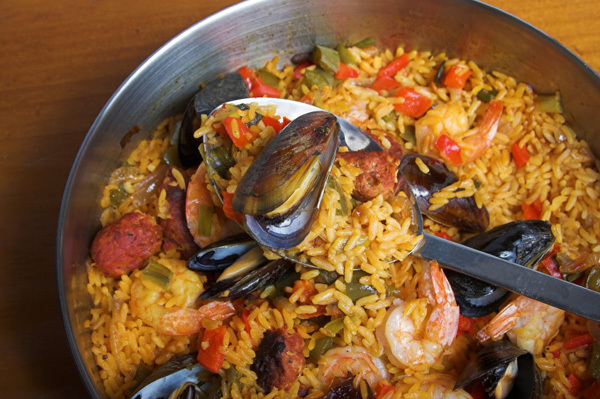 –FRIENDS OF THE CAMINO COOKING PAELLA IN BEIJING: We could define the philosophy of the Camino de Santiago with one word: SHARING. 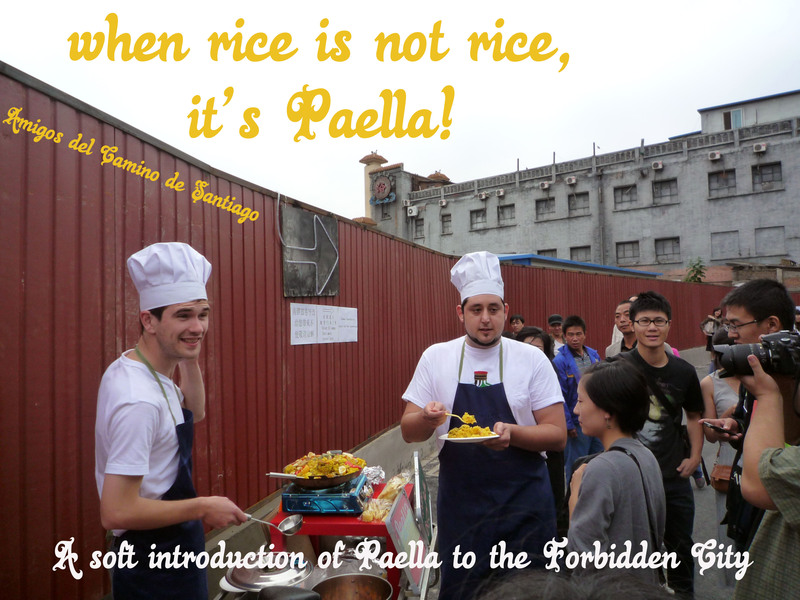 These young friends of the Camino were fond of cooking and thought they would try to introduce Paella to the Chinese in Beijing!!! Here the picture taken close to the Forbidden City, the Palace of the former Qing Emperor. – JAMONERIA LA LEONESA: Its is a wellknown Jamoneria (ham place) in the city of A Coruña, where you can have tasty wines, accompanied by delicious Spanish Jamon (Spanish prosciutto), but also it offers a selection of tapas, raciones and sandwiches with the best Galician bread, all of it for a very reasonable price.